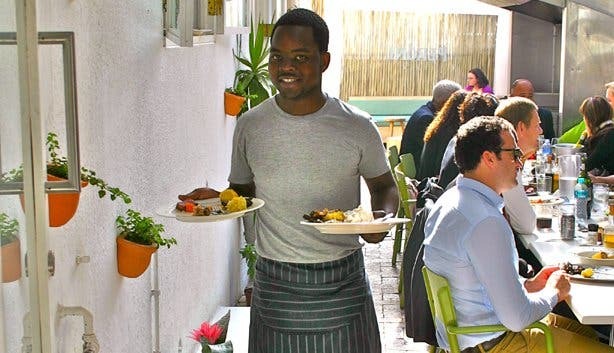 Braai (BBQ) restaurant in the heart of Sea Point! 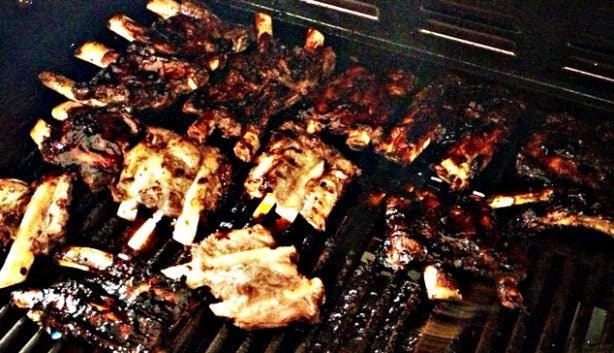 In South Africa, to live to braai (barbecue) another day is as good as it gets. Our nation’s sons have consistently held the Guinness World Record for the globe’s longest braai, our government has semi-successfully rebranded the public holiday of Heritage Day as National Braai Day and many a local will offer up the T-bone steak, which is in the shape of the African continent, as proof that Saffers and their braais will live together in holy matrimony ‘til pigs fly and the cows don’t come home (which would mean there’d be no meat to grill). But unfortunately, many a proud Mzansi urbanite suffers from a grave injustice. Small living areas and cramped flats leave no room for the half oil drum, Weber or, more creatively, turned-over shopping trolley crucial to the cookout process. 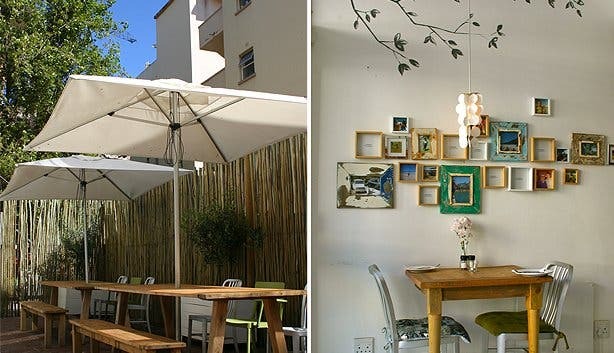 The unassuming restaurant is packed in among the Atlantic Seaboard suburb’s crush of hair salons, grocers, Chinese shops and cafés; but as the name promises, beyond its front door, a super spacious backyard area explodes out from the beach-chic interior of the eatery and settles in among towering residential blocks. 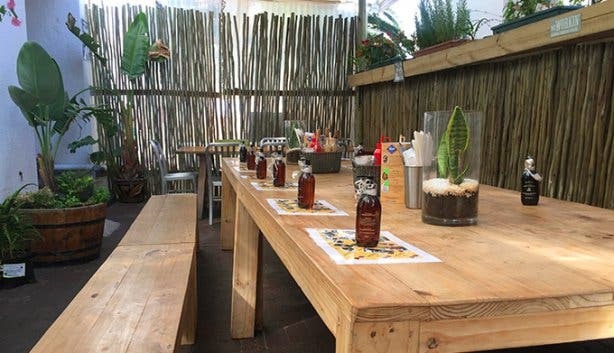 Kitted out with picnic tables, a loungy cushioned nook and, of course, a sturdy braai, the laidback zone feels like a patch of barbecue heaven in the midst of a real urban jungle. It’s the sort of place where it feels right to throw your feet up, drink a little too much karate-juice (brandy), eat with your hands and pop open that top button. Recently acquired by JP Robberts, the hot spot is still the same haunt that locals love – albeit with a touch of JP’s warm humour and friendliness. 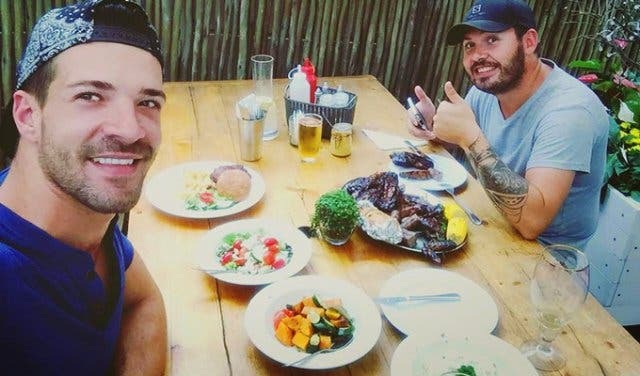 Mr South Africa 2017 second runner-up and Mr Photogenic 2017, JP could give Ben Stiller a run for his money for being ‘really really ridiculously good looking’, but he’s also a humble farm boy – the son of a Namibian beef farmer in fact. What this means for patrons is firstly the glow of JP’s smile, and secondly, the benefit of his meat expertise. This is a man who knows what’s at 'steak' when a braai is concerned. The menu has stayed much the same – carnivores can still choose their nosh from the counter up front, pick how big of a piece they’d like to conquer (the meat is priced by the kilogram) and select a few of the typical braai-style sides: roast baby potatoes, mielies (corn on the cob), green salad, garlic bread and more. JP particularly recommends the crispy chips, and halloumi and veg skewers basted in white wine vinegar and garlic sauce. Then, it’s all about resisting the urge to be the annoying backseat braai boss. The Backyard’s seasoned fire whisperers will let you watch them work their magic, but patrons are expected to keep their paws off the tongs and safely wrapped around a cold one. Speaking of which, the craft beer bar is a new feature, proffering some of city’s best artisanal brews, including the Rockhopper – purchase one of these and some of the proceeds go to the penguins at Sanccob. Vegetarians don’t need to just stand and watch (as the joke goes); they’ll be happy to find a decent selection of meat-free skewers, sizeable mushrooms begging for some butter and garlic as well as a choice of non-grill dishes, like butternut and nutmeg gnocchi with a moreish buttery sauce. The fact of the matter is, even if you choose to forego the flame-grilled goodness coming off the gas fire, you can still get down with the vibe. 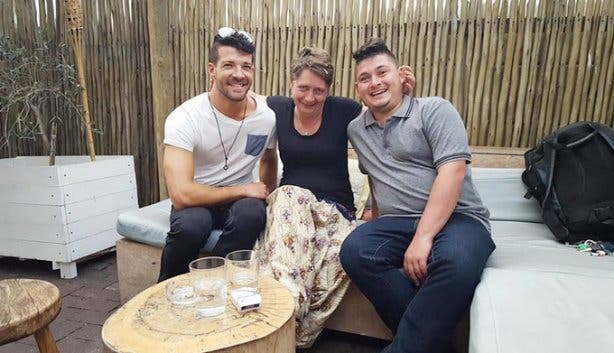 Braai is about camaraderie, unity and letting go of all of life’s little stresses in the name of good chat and cool conversation. JP is answering people’s pleas to take the Backyard secret basting sauce home with a line of specially packaged bottles of the incredible elixir. No, your personal braai still won’t be quite as good, but it’ll certainly be better than it was sans sauce! 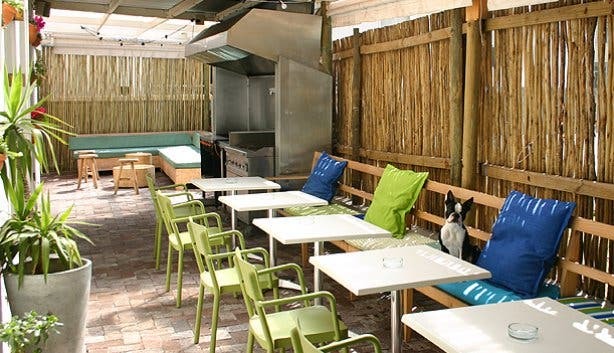 He’s also improved the ‘backyard’ part of the restaurant, adding fans, shade cloth, and some massive 55-inch TVs that broadcast sport on game days, with the volume turned high! Sections of the restaurant can be closed off to make it the ideal private venue – a fact many function throwers thrive on. 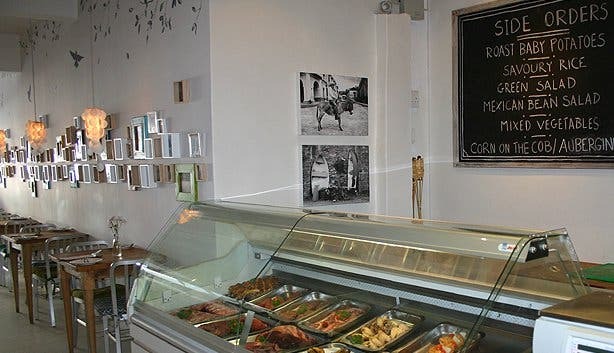 The wonderfully sarcastic quotes dotted around are also new – “If you are what you eat, I’m fast, affordable, and good”, is a crowd favourite. The rib special is fast, affordable and fantastic – a feature on Wednesday, Saturday and Sunday, one kilo of ribs costs only R150, instead of the usual R220. 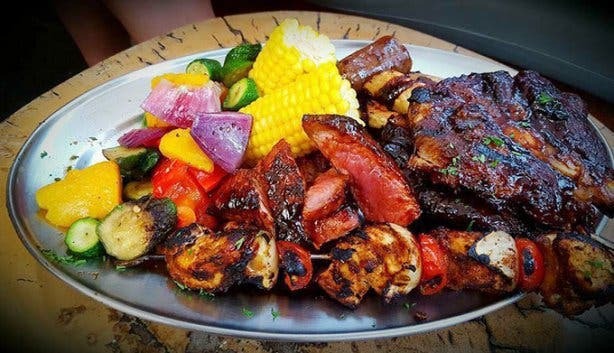 Other menu favourites include the braai platter – a selection of meats for those who can’t decide what to have – and the decadent chocolate fondant. 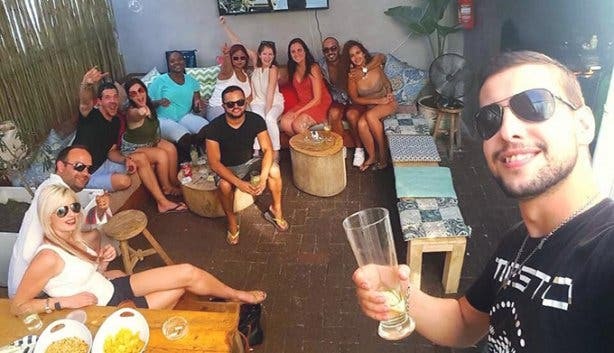 The Backyard Grill Lounge is a place where everyone is welcome, regardless of age, orientation or religion – halaal requests can be accommodated with advanced notice. Crack open a cold one (and another and another) and celebrate the beauty of a flawless summer’s day with a real local pastime. 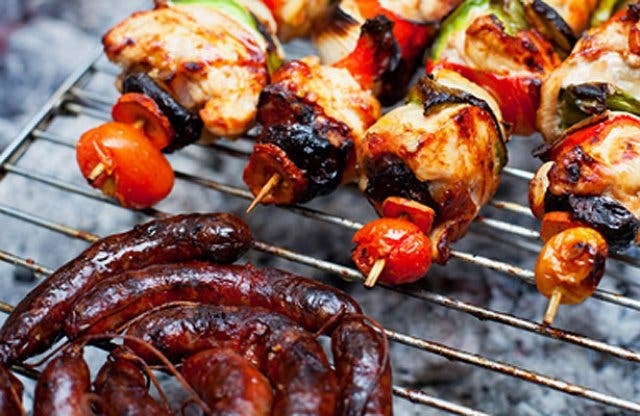 After all, ‘braai’ is one of the few words used and understood in all 11 of South Africa’s official languages. 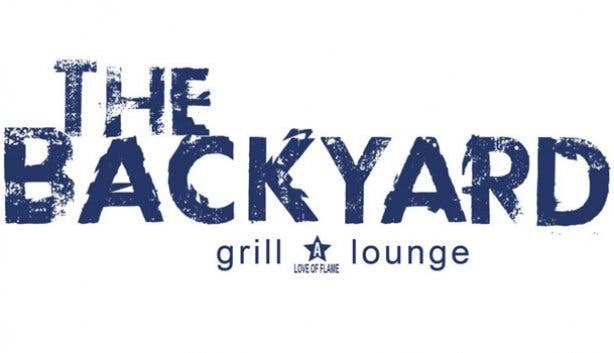 Tip: The Backyard Grill Lounge is great for groups; the eatery has hosted everything from a birthday party and fashion show to an office do and wedding reception. You can bring your furry friend along too (as long as your dog is friendly and socialised). Look out for JP’s gorgeous model friends – the protein-rich menu is popular with bodybuilders and fitness fanatics! The Bill: At The Backyard, it’s all about quality meat at a decent price. 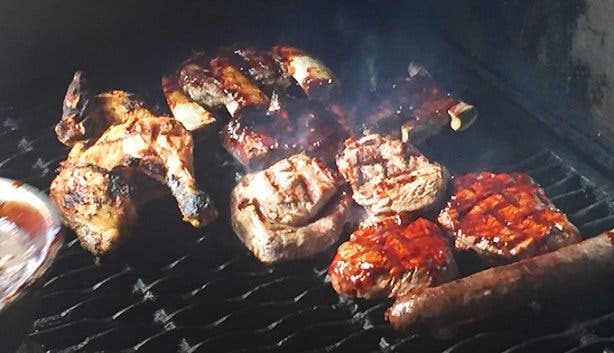 So expect to pay between R110 for a sizeable steak (300g) and R220 per kilogram of ribs, from R40 to R50 for the starters, ‘round about R72 for the mains and from R89 to R140 for fresh seafood. You can get giant 1kg beef ribs from the brand new smokehouse in Zonnebloem, Holy Smoke Cape Town. 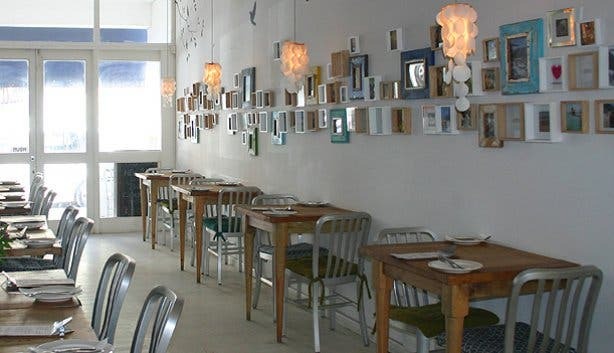 Get good grub and support the spirit of Ubuntu at the same time at RobinHood Burger & Grill in Kloof Street. Are you keen to play braai master but lack the space to do so? 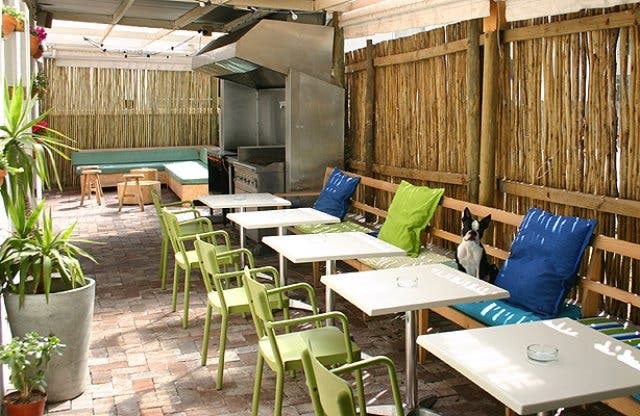 Check out our overview of braai spots in Cape Town.